There is something dreamlike in skirting along the Italian countryside in your own private locomotive carriage to a place like Castel Gandolfo. 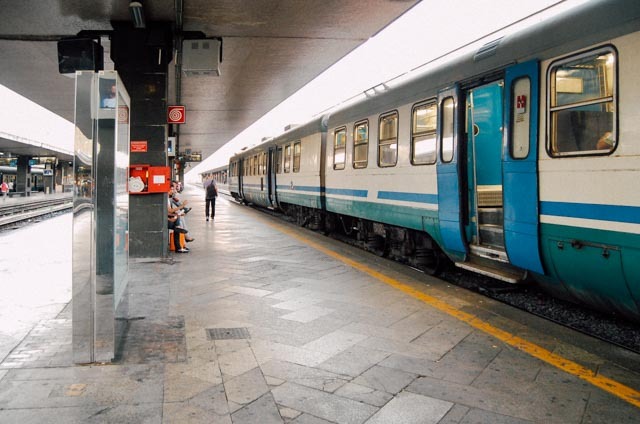 Many of Rome’s trains are pretty basic but as simple as the mode of transport is, it can still take you to some pretty incredible destinations and one of my favorites is the easy day trip to Castel Gandolfo. About 40 minutes after leaving Rome’s Termini station (no changing trains required), you emerge on a platform without a station. Below you, Lake Albano stretches out. 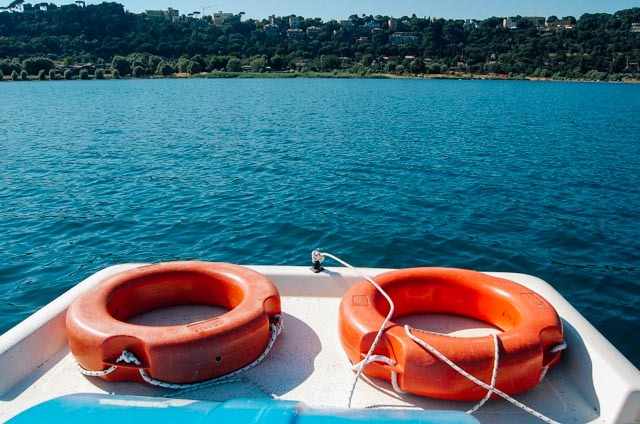 You have two options when you arrive in Castel Gandolfo – you can go up to the charming village or walk down to the sparkling water. A quick walk downhill, and you can hand over your ID card in exchange for a paddleboat. For €10/hour and no bother with renting beach chairs or umbrellas, we almost always take a small boat out with a picnic lunch. The volcanic crater lake is cooooold (and can be dangerous if you are planning to swim) but surrounded as you are by the Albano hills, you quickly warm up while paddling. 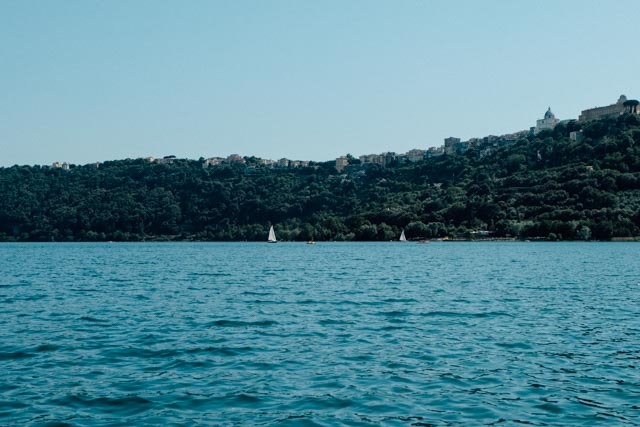 From the water, you can look up at the postcard-perfect town of Castel Gandolfo, including admiring the Pope’s summer house to the far right. 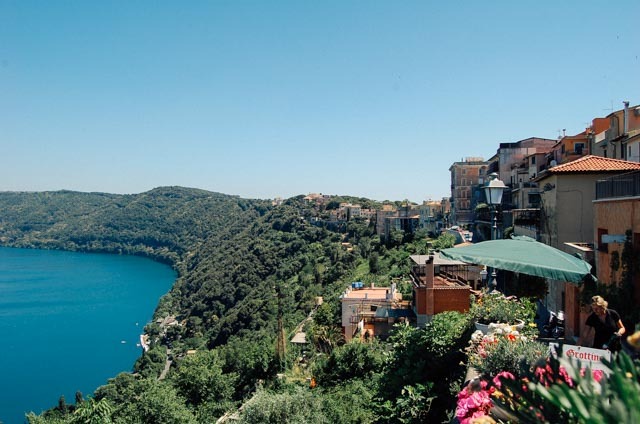 If the Pope picked it for his summer home, then Castel Gandolfo has got to be pretty nice, right? 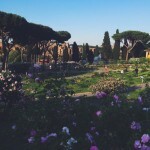 In fact, a visit to the papal residence and gardens is one of the best things to do in the village. Visit the Pontifical Palace and Gardens: Castel Gandolfo has been a papal summer retreat since Pope Urban VIII built a beautiful residence here in the 17th century. Pope Francis has even opened up the Papal Palace and striking gardens to visitors. It is worth booking since no one really knows if the next Pope will decide he wants the palace to be his private home once more. 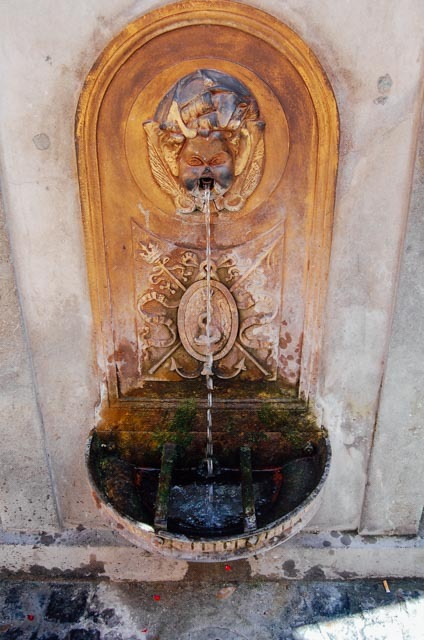 Admire the Bernini fountain: Before passing through the gates into the Vatican territory, stop to take in the small fountain. It was designed by Renaissance master Gian Lorenzo Bernini. Visit the Church of San Tommaso da Villanova: Located on Castel Gandolfo’s main square, just outside the papal palace, this charming church was designed by Bernini and constructed between 1658-1661. He filled it with intricate stucco work, and there are also paintings by Pietro da Crotona inside. 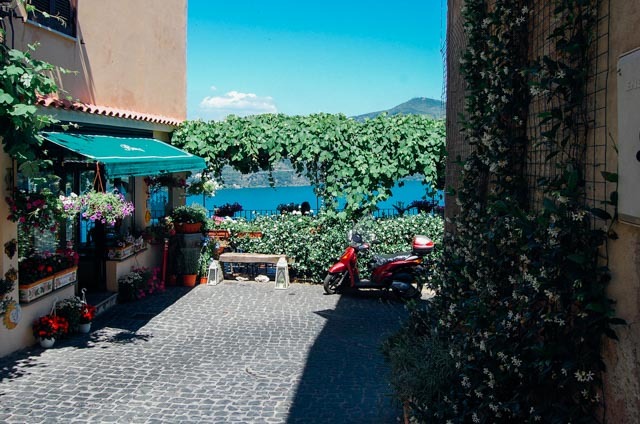 Eat lunch overlooking the water: Romans come to Castel Gandolfo for the fresh air and lake views. The sweeping views are made all the better when you are digging into a plate of perfect pasta while enjoying the scenery. Ristorante Pagnanelli has a particularly good perch, and delicious food, overlooking Lake Albano. Get sporty at the lake: Instead of spending all your time in town, wander downhill to the water’s edge to stroll along the lakeside lido. There is a paved promenade that sometimes has small temporary stalls hawking snacks and souvenirs, but you can also find hiking trails beyond the line of restaurants. Of course, rent a boat or kayak is also an option for the beach huts that are perched on the tiny bit of sand at the entrance to the lake area. 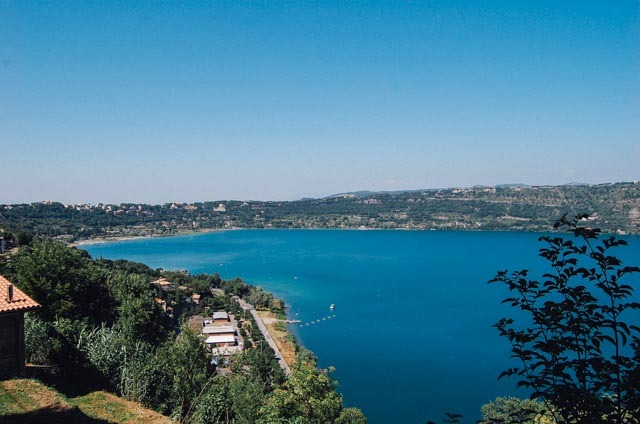 The train station is located halfway up the hill, and while it is easier to walk down to the lake, you might instead want to start with the harder bit- climbing up to Castel Gandolfo. Walk straight down the platform in the direction that the train keeps going, cross the main street, and follow the path which will eventually wind right and take you up the hill. There you will find tiny streets, bubbling fountains, and restaurants with cliffside seating to admire the view. 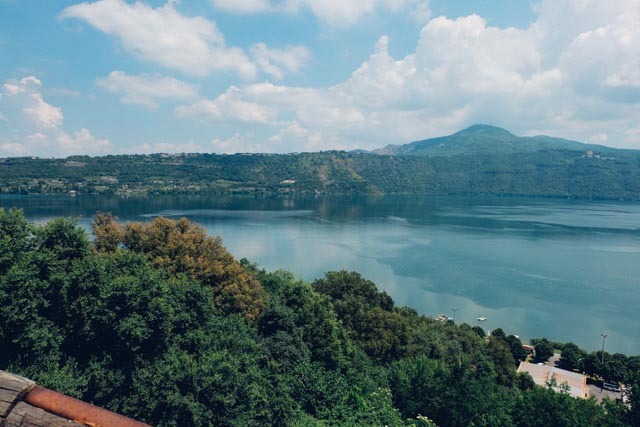 Castel Gandolfo is one of our favorite day trips from Rome because it is so close and such a nice break from the city. At times, the boardwalk around the lake is packed with vendors and shoppers, so we skip that and either head up to the village or grab a boat to get out on the lake. (Just bring some form of ID if you want to rent a boat). Tickets to Castel Gandolfo cost €2.10 each way. Be sure to buy your return ticket at Termini, because there is no place to buy a ticket at the Castel Gandolfo station- just a box to validate a ticket that you already have. 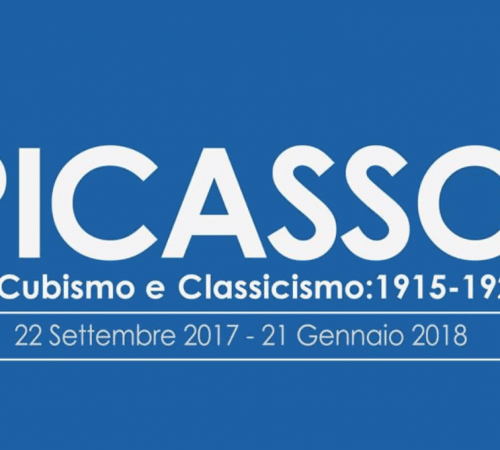 You can also purchase tickets from ItaliaRail (in English). 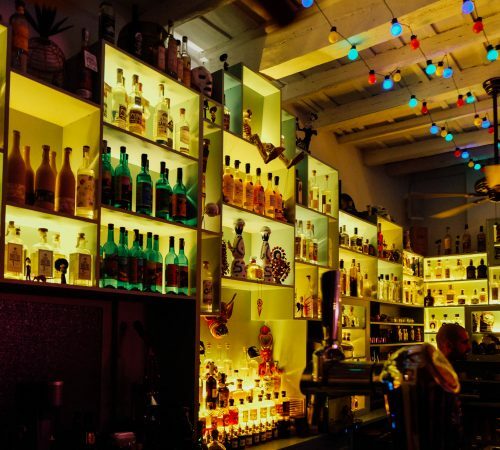 For an incredibly special trip, you can actually combine a visit to the villa and once-private gardens with the Vatican museum and take the train from INSIDE the Vatican. Here is more information on that experience. You can check the train schedule for the day on the Trenitalia website. However, it is a beautiful place and if you would rather stay the night, here are the best hotels in Castel Gandolfo. Looking for more Castel Gandolfo tourist information? There is a little green kiosk info point outside the town walls (via M. D’Azeglio 1) which functions as the local tourist office. Please note that this post may include affiliate links to companies that I personally recommend and I may receive a commission should you choose to book with them. Hello! I love your blog! 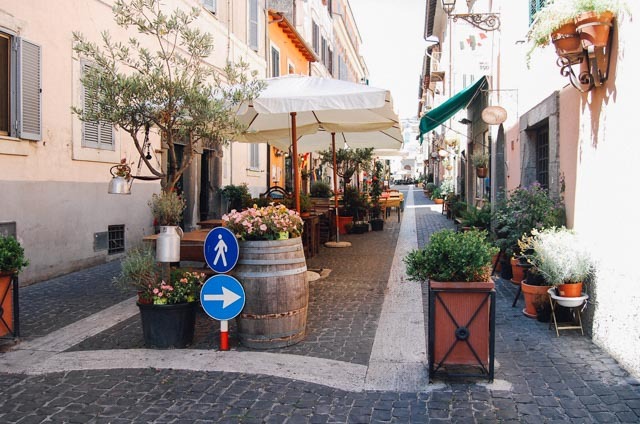 If you had to pick one, would you suggest Castel Gandolfo or Bracciano for a day trip from Rome? Thank you! Hi Deanna! Thanks so much! I would lean towards Castel Gandolfo, but it depends on what you want to do on the trip. I think that Gandolfo is a bit more picturesque, and slightly quieter than Bracciano but both are beautiful. Thank you! It sounds like I can’t go wrong. Tomorrow we are going to Civita di Bagnoregio based on your recommendation. Thanks for all the great suggestions in your blog! Can we do both Castel Gandolfo and Bracciano for one day trip from Rome on the same train track? 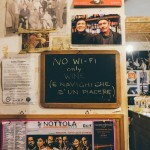 If not, which one have another great town to explore on the way back to Rome? We do not want to rent a car and want to visit at least two towns by train. Thank you so much for your lovely website! Hi Natalie, I really appreciate your well written blog. 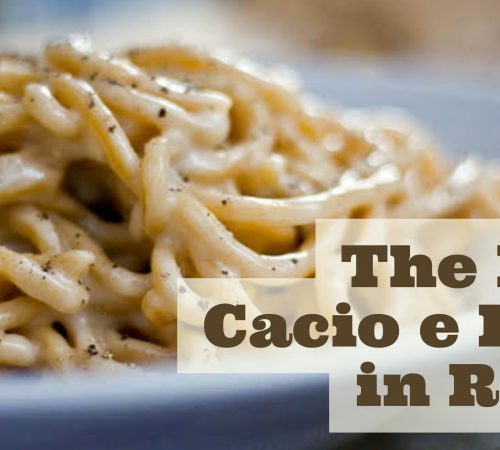 And since you have been around Rome quite a bit what would you say would be a better place to visit in a day out of Rome, Castel Gandolfo or Orvieto. By better I mean fewer tourist crowds, more picturesque, more to see and do, and easily reached by train or bus. Castel Gandolfo is beautiful but quite small. There is more to do in Orvieto, and I would lean towards recommending that over Gandolfo unless you also want to swimming. The Umbrian countryside is gorgeous, and you can explore the Cathedral, as well as wander many more quaint streets. Both are accessible by train. In Orvieto, you can take a funicular and avoid the walk you have in Castel Gandolfo. Going next year with my parents who are mid 70’s. They can’t really do a lot of walking. Looking for a day trip from Rome that would have great views and something to do. We are thinking May or October. 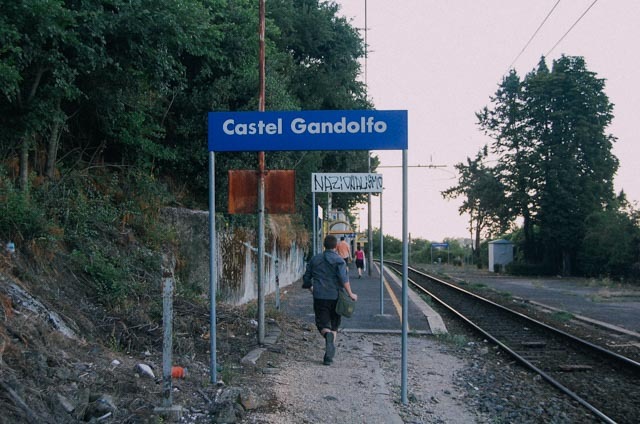 Hi Karen – Castel Gandolfo is small town so it could work if you go by car, but I would not recommend the train. Hi Natalie, do you mean you have to hand over your ID (passport/ driving licence etc) for the duration of the boat ride and they give it back when you return? Yep! That is what we had to do. I felt more comfortable leaving my drivers license. One thing they do not warn you about is that there are whirlpools on the lake. Be careful!